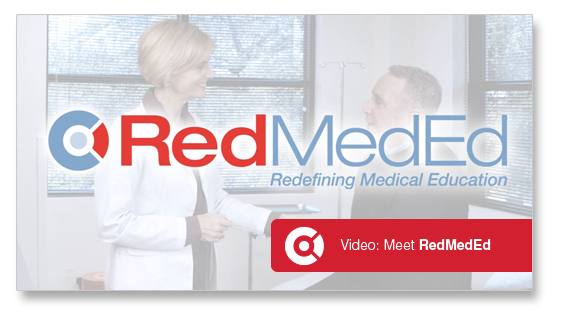 RedMedEd was established in 2013 to reinvigorate the process and mechanisms of CME delivery. Our focus is on innovative e-learning designs and game-based learning, a focus that is rooted in the belief—and the results of a growing number of studies—that learners are more inclined to remember and incorporate what they have learned when the process of learning stimulates, engages, and—yes—even entertains, them. We are a full-service agency committed to developing and implementing exceptional educational initiatives for clinicians and patients across a wide range of settings, formats, platforms, and therapeutic areas. A critical component of developing CME that crackles is knowing who your learners are and understanding what it takes to reach them, and the RedMedEd team has been doing it for years. The learners we’ve reached include practitioners and patients of all types. It’s not just the message but the method that matters, so implementing the learning format that will connect with—and enthrall—learners is a challenge we take seriously. Regardless of shape or format, our activities are carefully crafted to meet the needs of our learners, and they are flawlessly executed. Always. RedMedEd offers groundbreaking educational platforms, but our foundation is solidly rooted in a clear understanding of the scientific principles at the core of medical education. Our leadership team has extensive experience educating learners across a range of therapeutic areas.